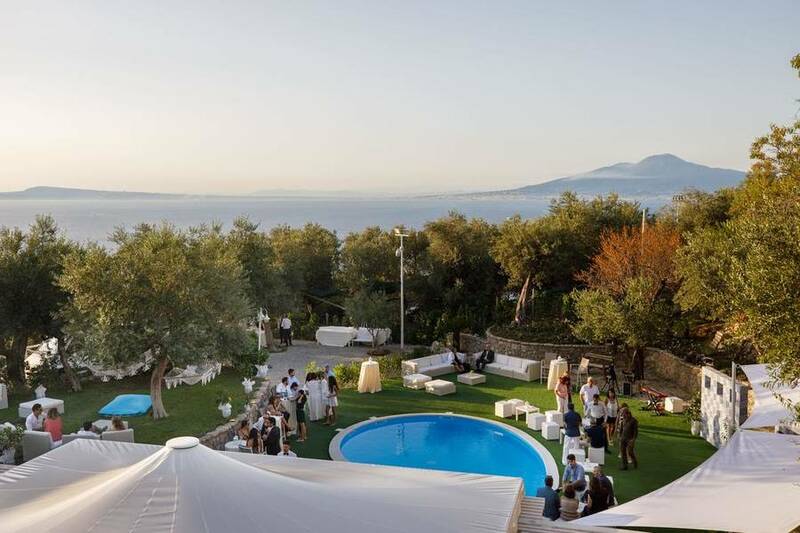 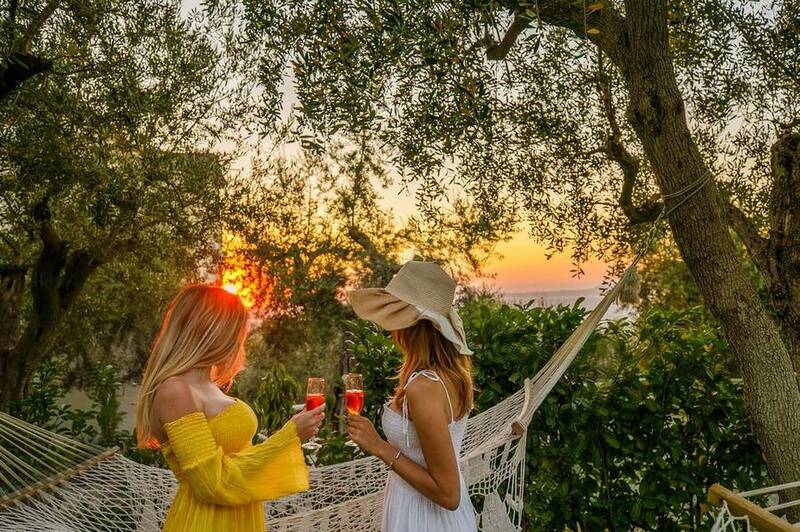 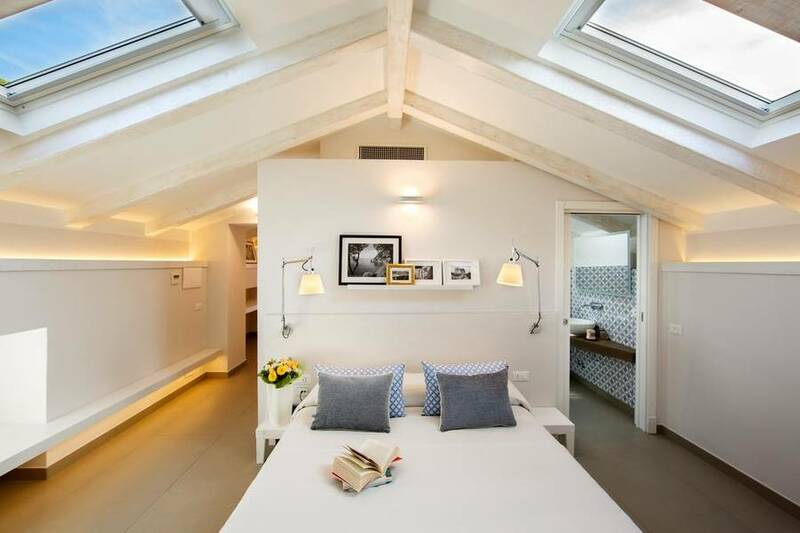 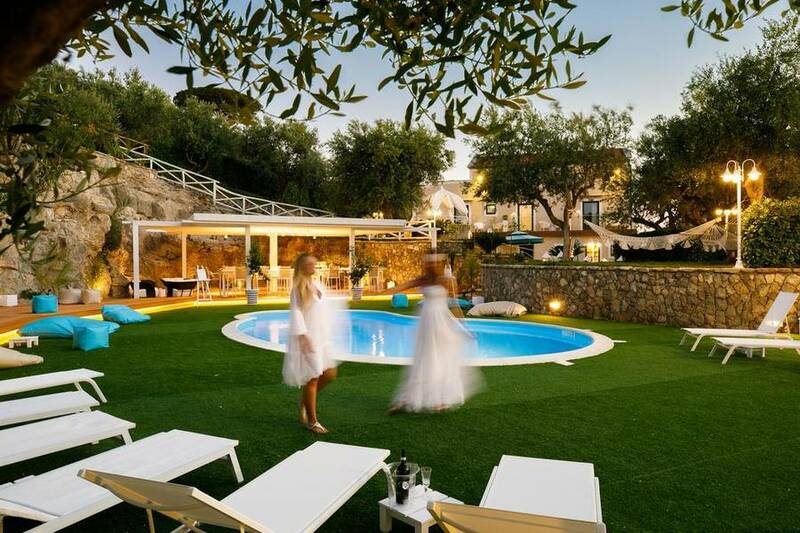 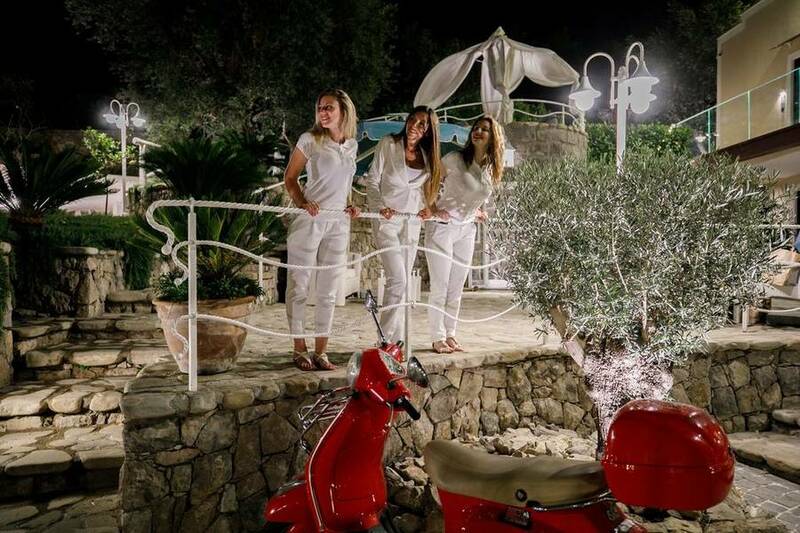 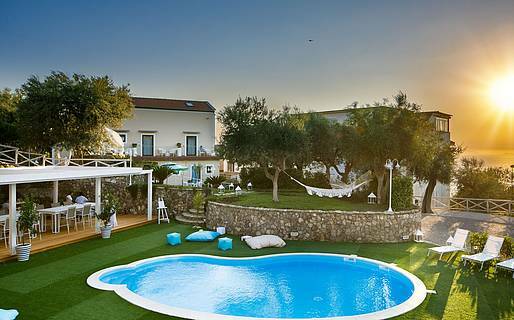 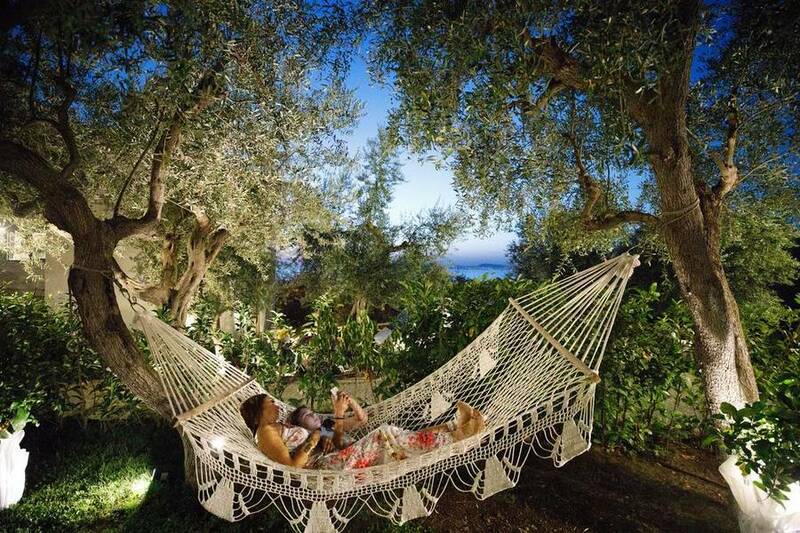 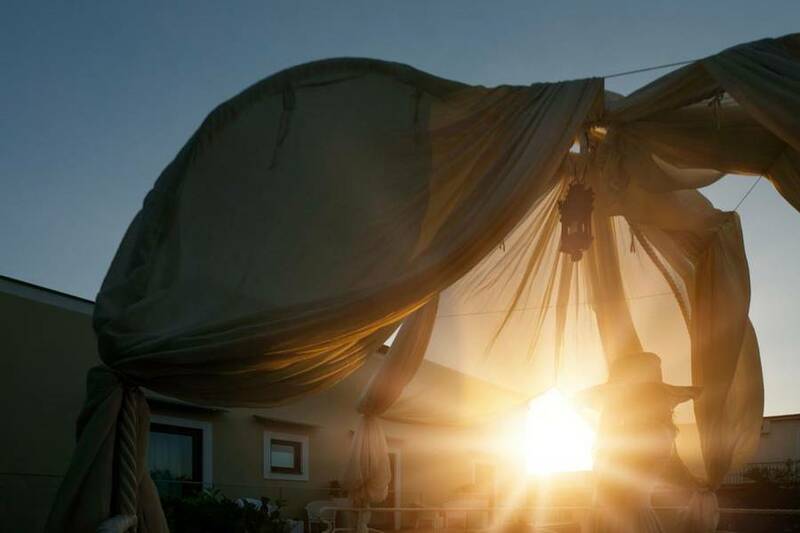 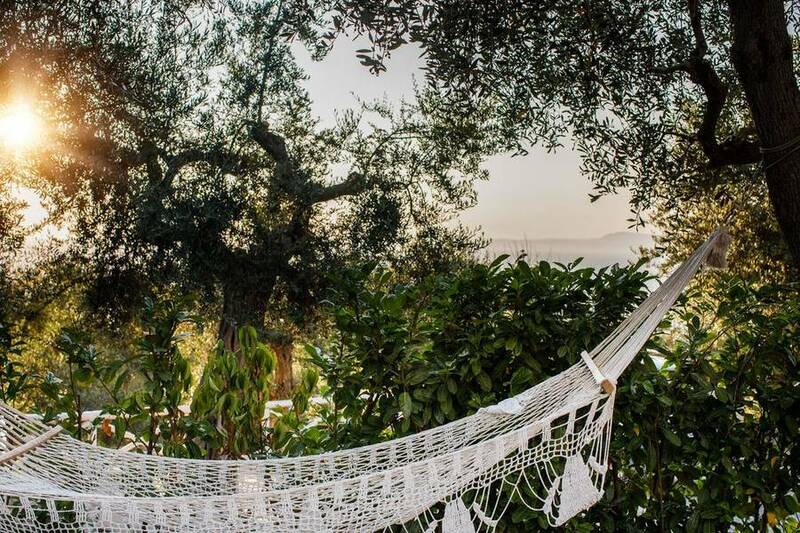 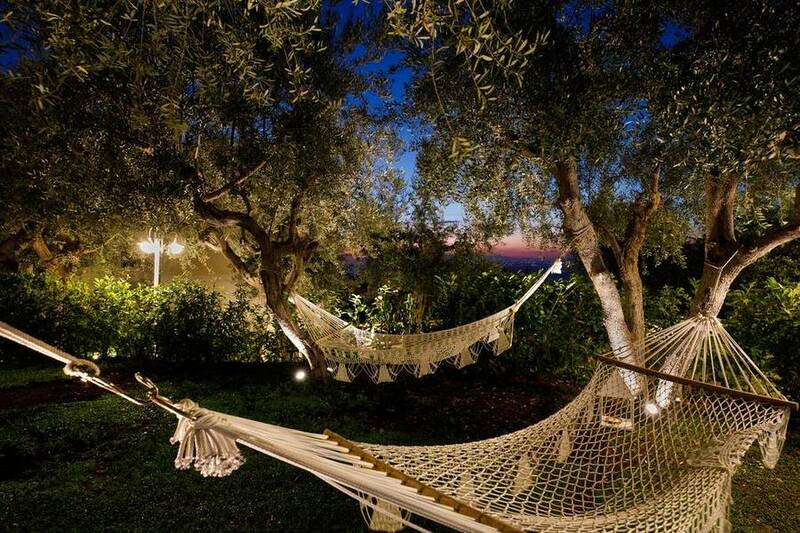 The MelRose Relais boutique hotel is perched on one of the most beautiful spots along the Sorrentine coastline, Massa Lubrense, surrounded by lush coastal countryside and just a short walk to the beach at Marina di Puolo. 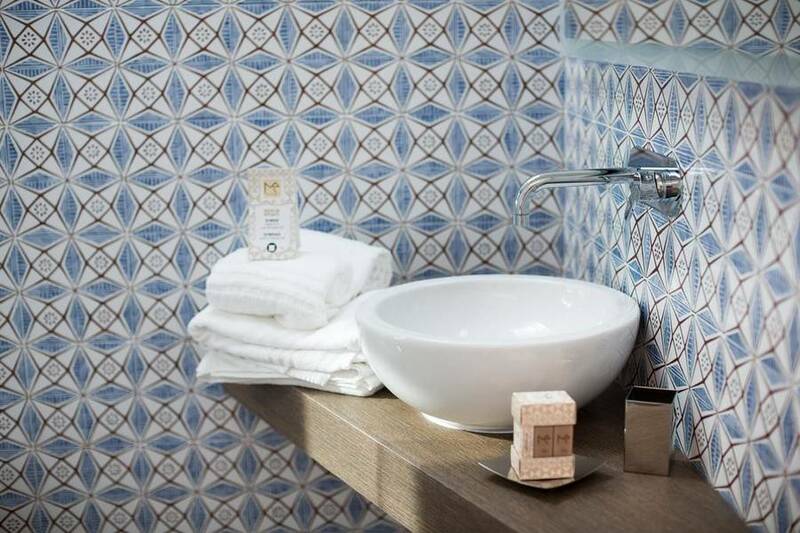 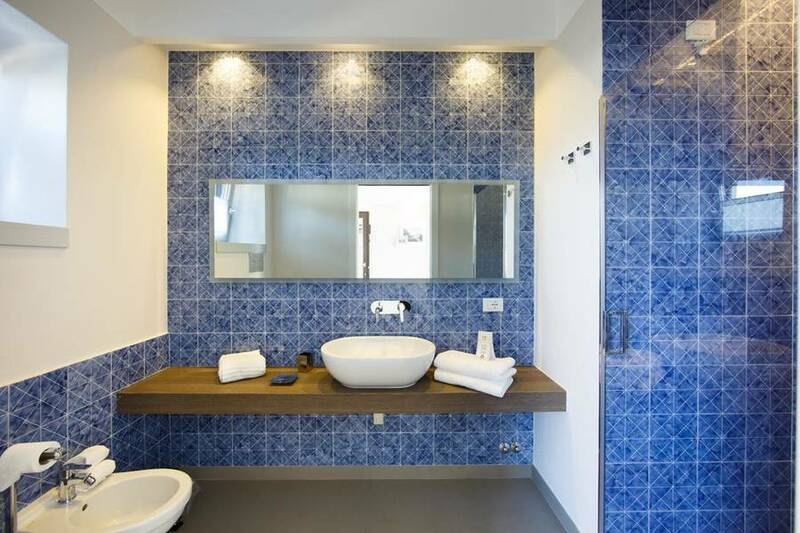 MelRose Relais blends the contemporary look of understated décor and light-filled spaces with the colors of traditional ceramic tiles from Vietri that decorate the bathroom of each guest rooms. 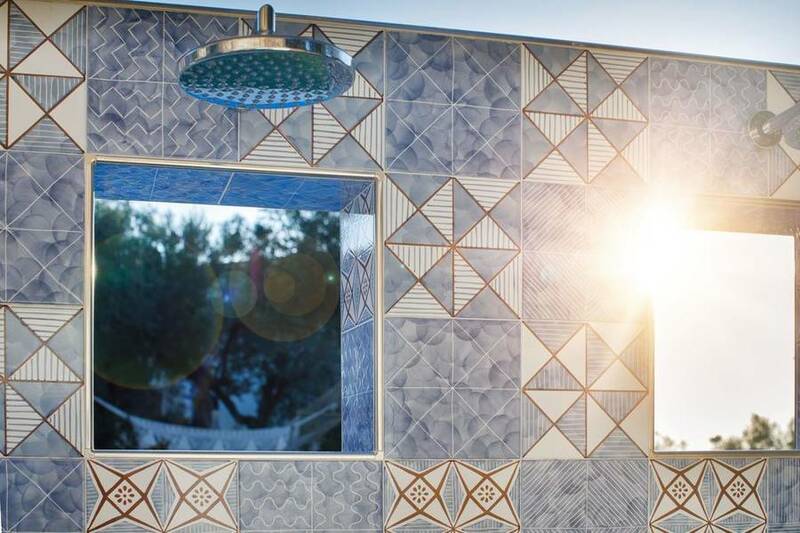 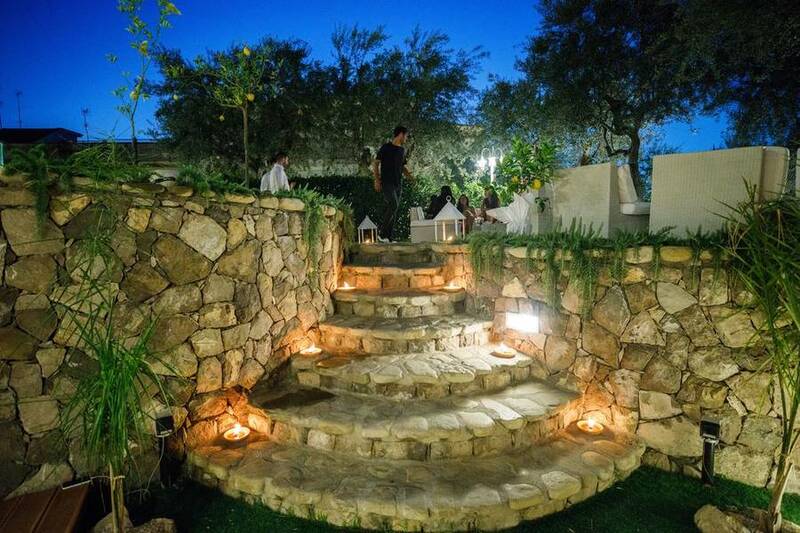 Mediterranean scents and style surround you both inside and out, with a unique balanced beauty that remind you in every moment that you are on southern Italy's Sorrentine Peninsula. 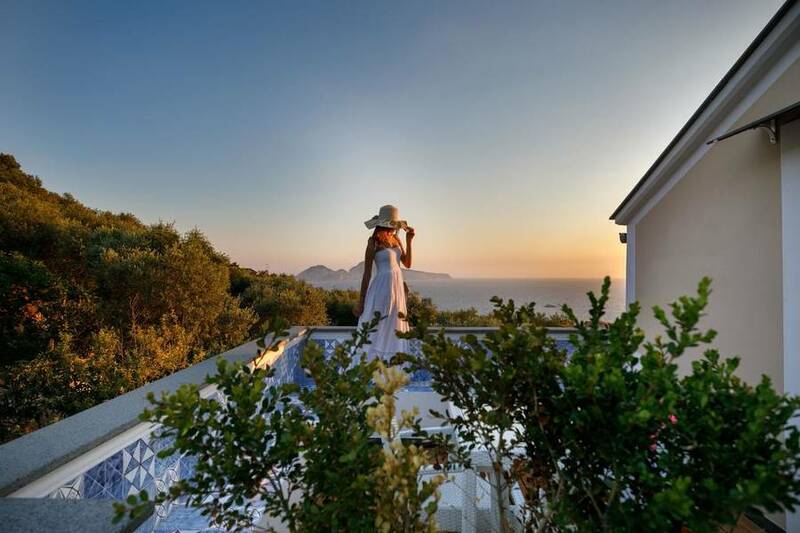 For both complete privacy and stunning private views, choose the Junior Suite at MelRose Relais, with its private terrace overlooking the Bay of Naples and island of Capri. 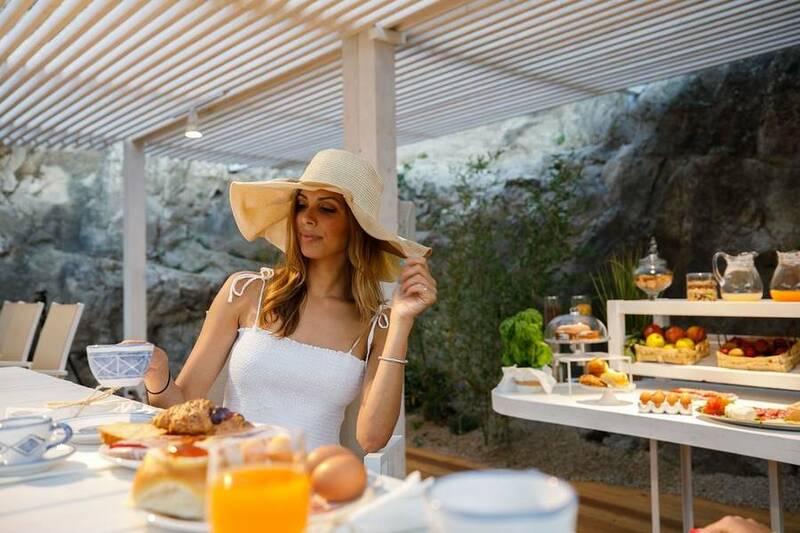 Order breakfast in and linger over your morning cappuccino while you enjoy the sweeping views! 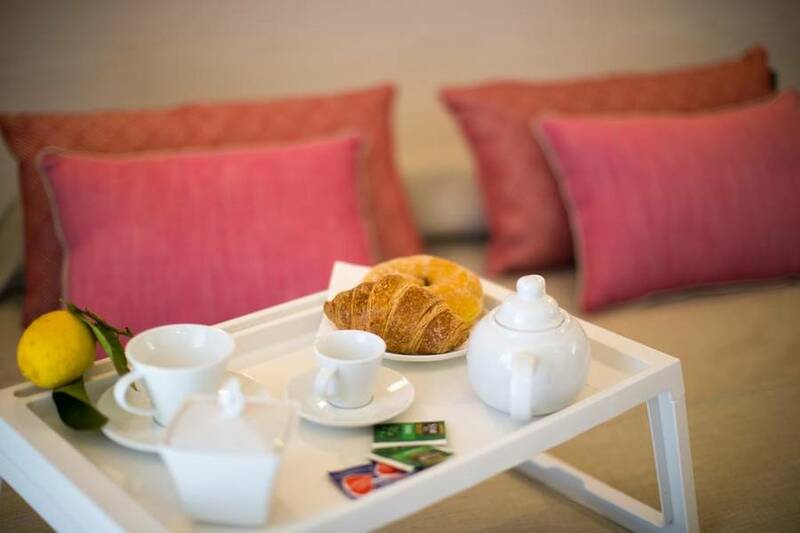 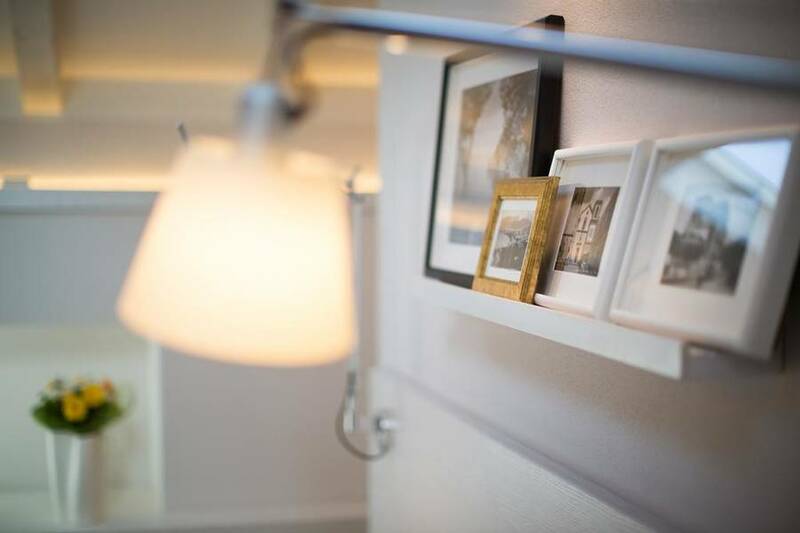 At MelRose Relais, you can slow down and pace your holiday to suit your travel style and interests. 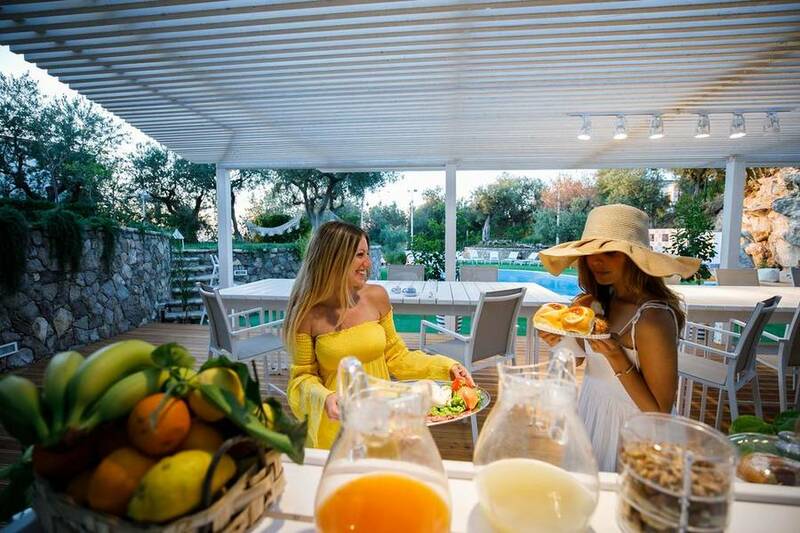 If you are looking forward to relaxing at the hotel, take advantage of all the creature ocomfort of the outdoor pool and furnished sundeck. 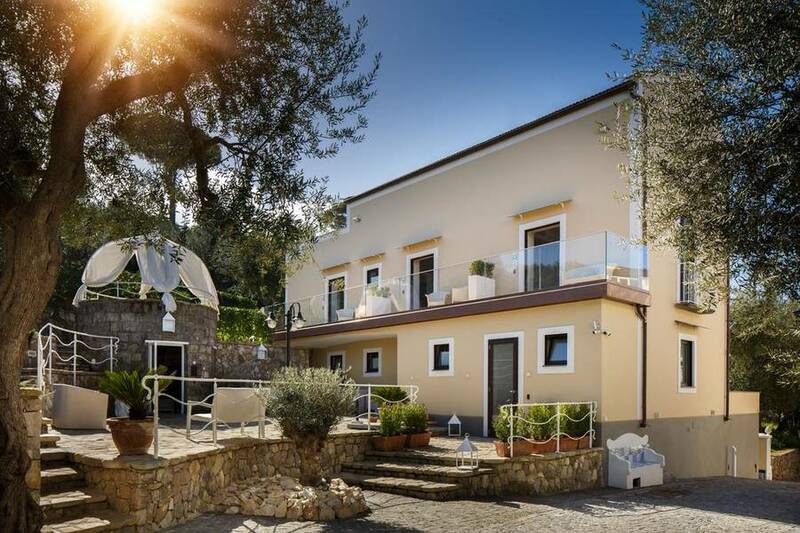 Or, if you love the beach, head to Marina di Puolo just 300 meters away. 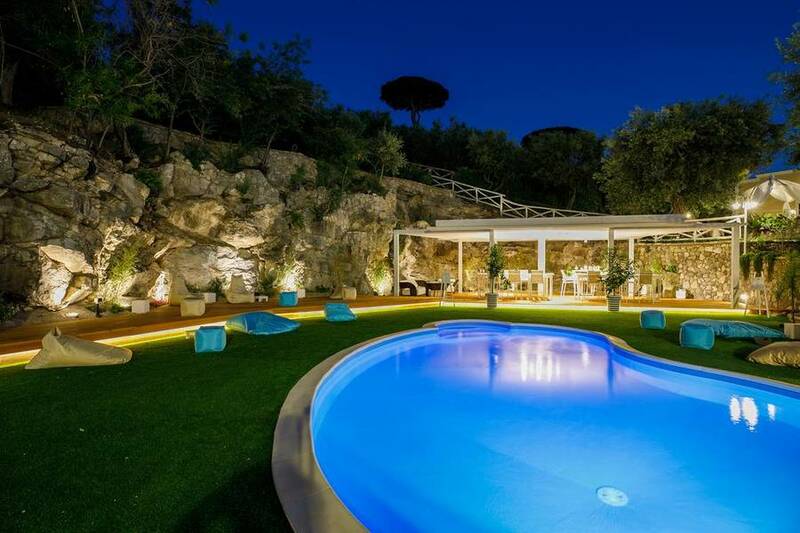 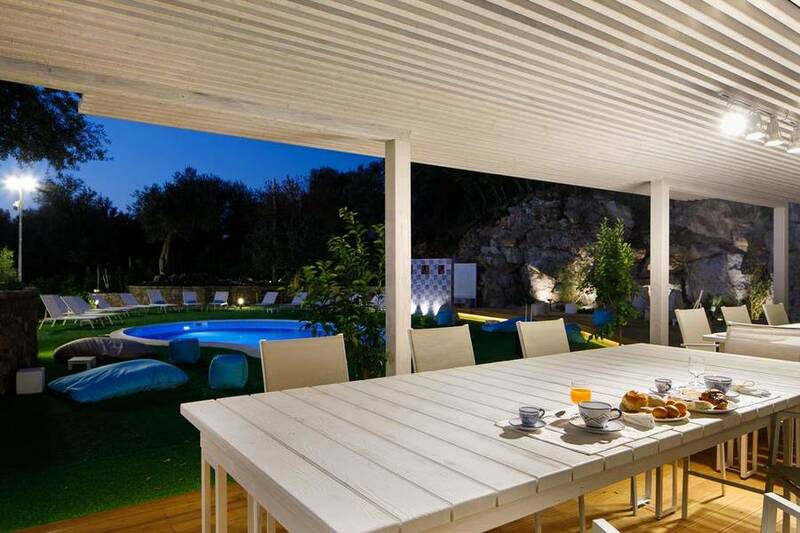 Are you looking for a holiday flat in the center of Sorrento? 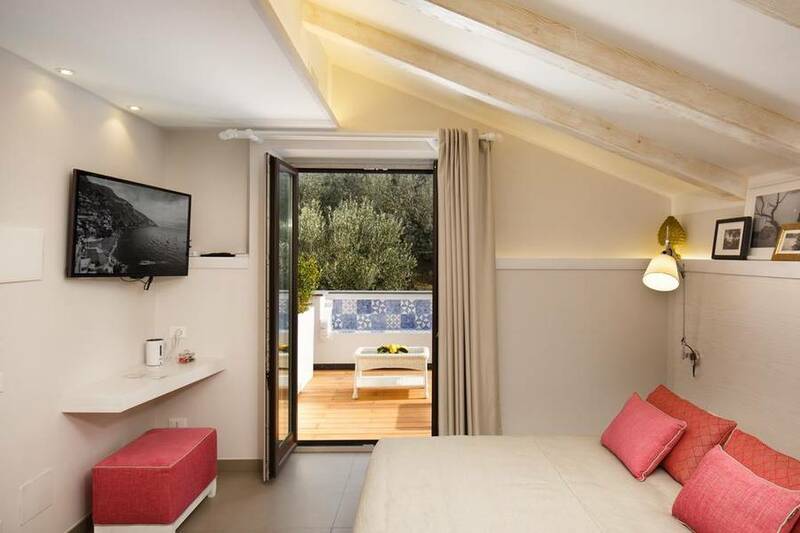 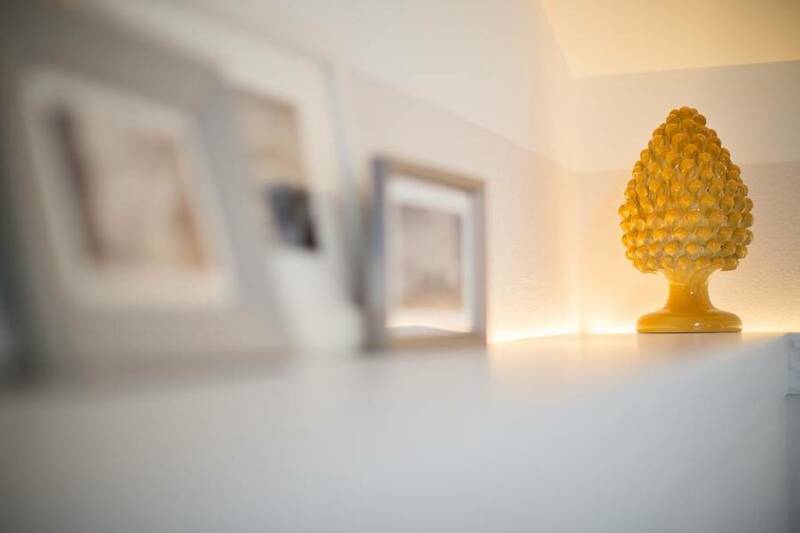 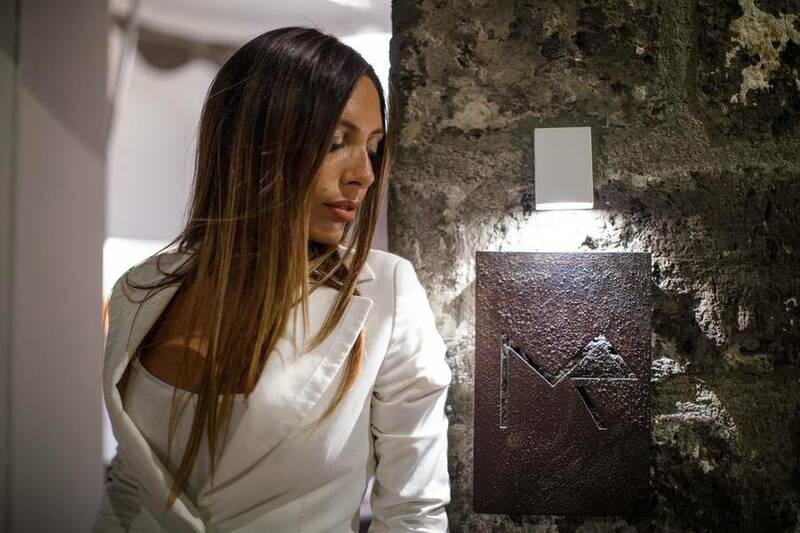 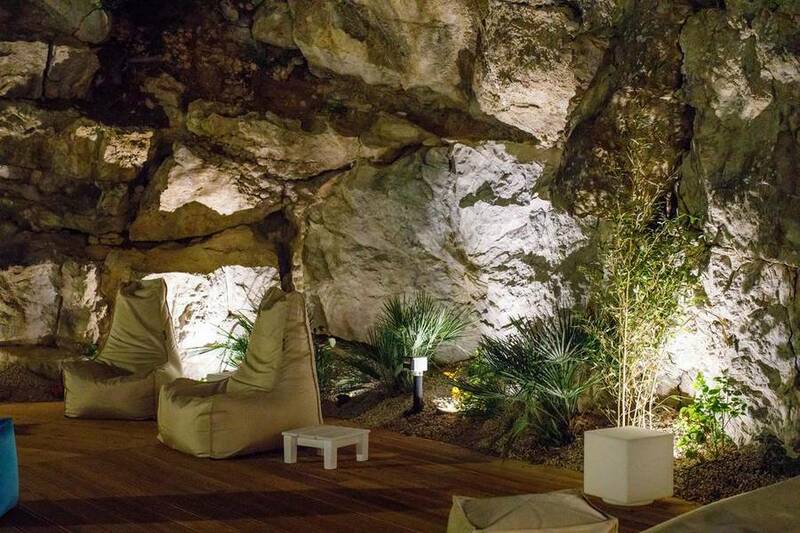 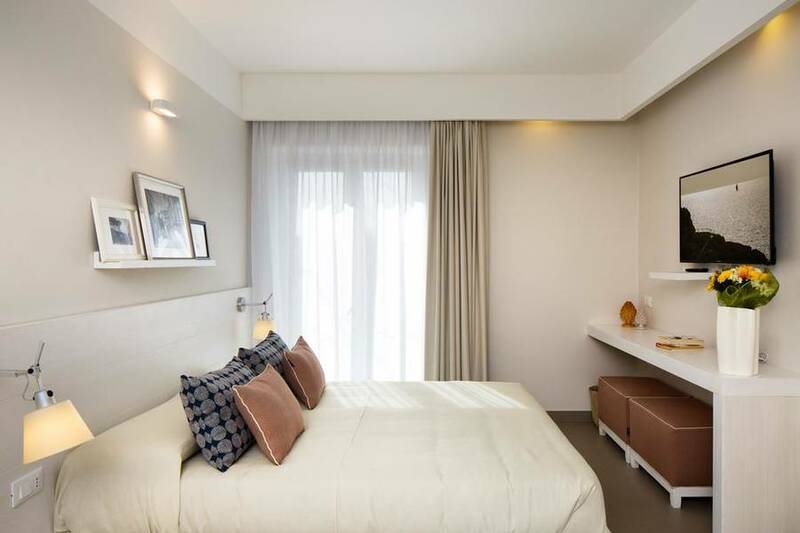 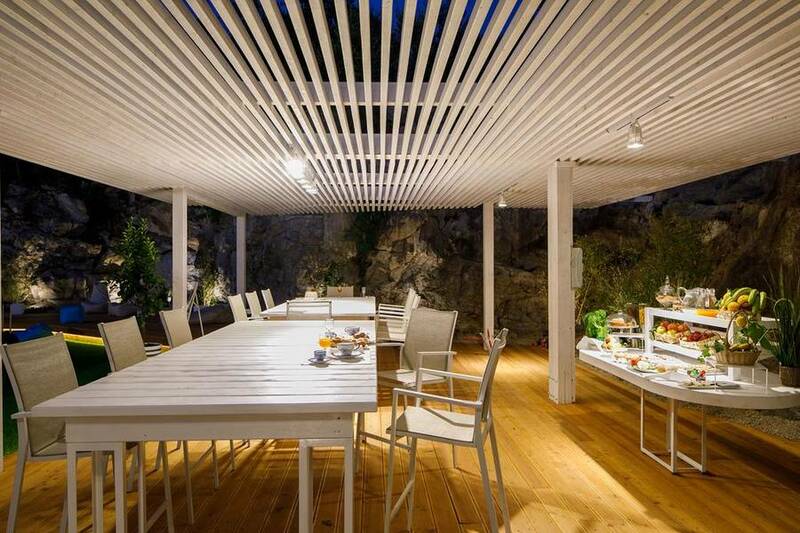 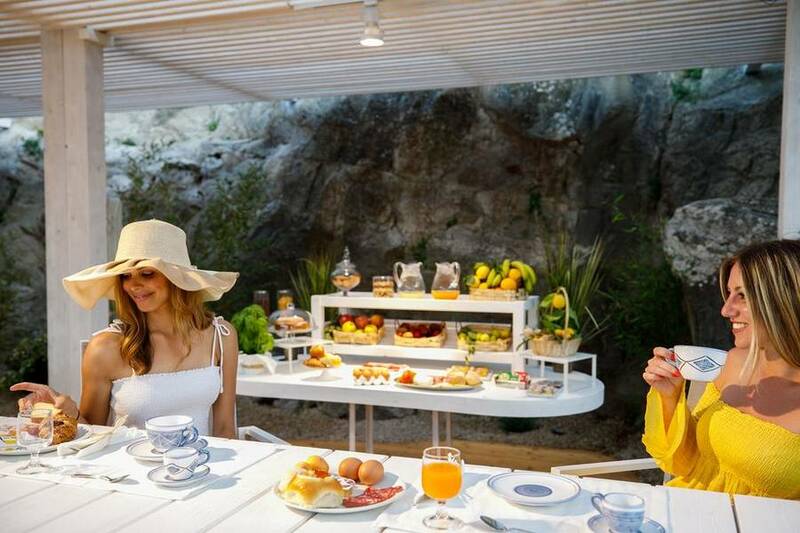 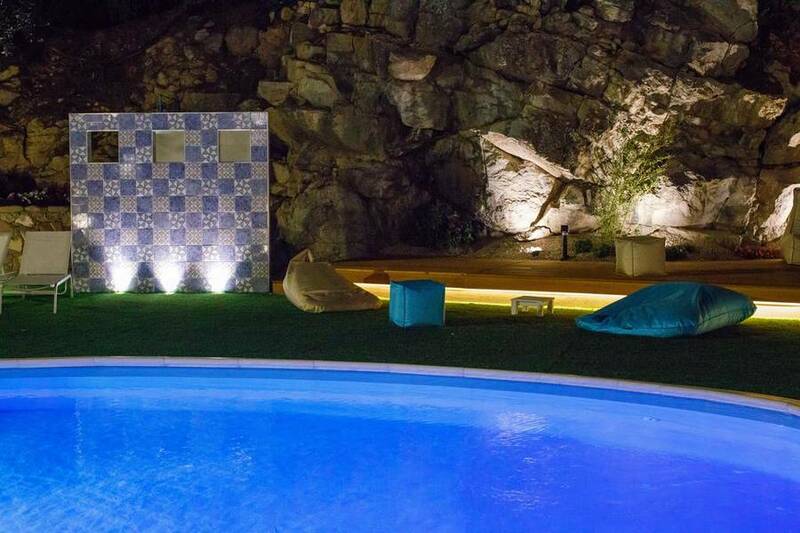 MelRose Relais also manages the Oranges Luxury Apartment, a fully accessorized and modern apartment in the center of Sorrento near the Circumvesuviana, a perfect location to use as a base for visiting Pompeii and other attractions near the Amalfi and Sorrentine Coasts.